Rohingya refugees stretch their hands for food near Balukhali in Cox’s Bazar, Bangladesh, September 4, 2017. BANGKOK - The systematic persecution of minority Muslims is on the rise across Myanmar and not confined to the northwestern state of Rakhine, where recent violence has sent nearly 90,000 Muslim Rohingya fleeing, a Myanmar rights group said on Tuesday. The independent Burma Human Rights Network said that persecution was backed by the government, elements among the country’s Buddhist monks, and ultra-nationalist civilian groups. “The transition to democracy has allowed popular prejudices to influence how the new government rules, and has amplified a dangerous narrative that casts Muslims as an alien presence in Buddhist-majority Burma,” the group said in a report. Myanmar’s government made no immediate response to the report. Authorities deny discrimination and say security forces in Rakhine are fighting a legitimate campaign against “terrorists”. Besides Rohingya Muslims, the report also examines the wider picture of Muslims of different ethnicities across Myanmar following waves of communal violence in 2012 and 2013. Rohingya refugee girl cooks a meal in an open place near Balukhali in Cox’s Bazar, Bangladesh, September 4, 2017. The report says many Muslims of all ethnicities have been refused national identification cards, while access to Islamic places of worship has been blocked in some places. 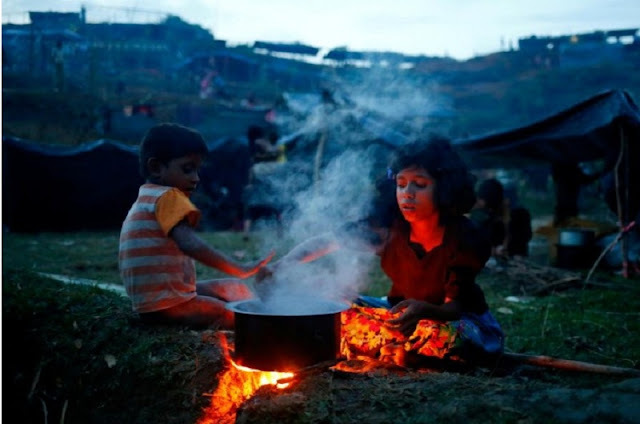 In Rakhine state, the report highlighted growing segregation between Buddhists and Muslim communities and severe travel restriction for the Muslim Rohingyas, which limited their access to health care and education. 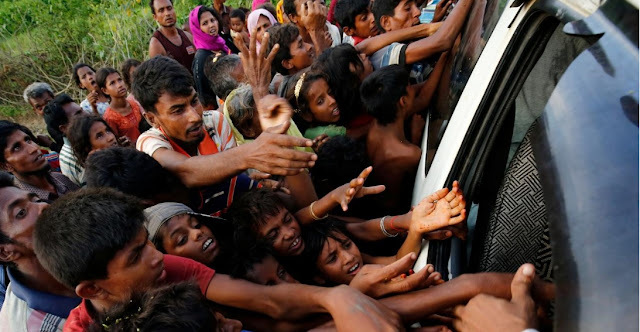 Tens of thousands of Rohingya have fled into neighboring Bangladesh since Aug. 25, when Rohingya insurgents attacked dozens of police posts and an army base. The ensuing clashes and a military counter-offensive have killed at least 400 people. The treatment of Myanmar’s roughly 1.1 million Rohingya is the biggest challenge facing Myanmar de facto leader Aung San Suu Kyi, who critics say have not done enough to protect the Muslim minority from persecution. The London-based Burma Human Rights Network has been advocating among the international community for human rights in Myanmar since 2012, it says on its website.